We are confident that given the resources, womb transplantation can become an option for women within the next few years. 1. Psychological assessment – is the patient suitable for such a major transplant operation psychologically? 2. Physical and medical assessment for surgery – is the patient fit enough or does she have any problematic medical conditions. 3. Patient is offered the procedure and consents. 4. Collection of eggs from patient’s ovaries (or donor) together with partner’s sperm (or donor sperm) to achieve embryos which will be frozen giving the opportunity for more than one IVF cycle. 7. Concurrent immuno-suppressive therapy based on current extensive knowledge of requirements. 8. 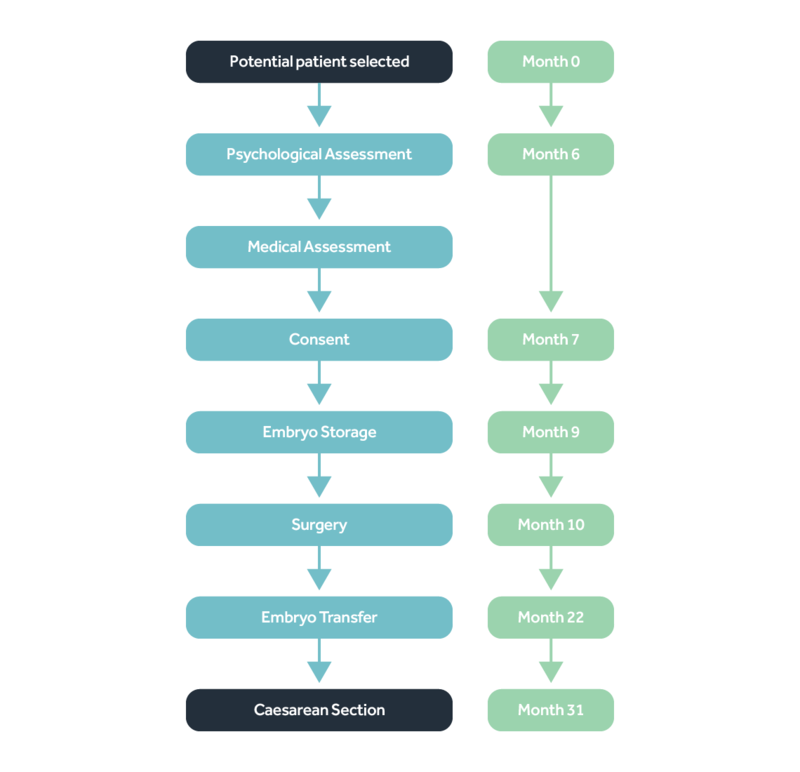 Initial constant monitoring until patient fit to leave hospital and then one, three and six month post –transplant assessments. 9. At approximately one year after the operation, embryo transfer to uterus. 10. 14 days later, a pregnancy test. 11. At 38 weeks gestation, Caesarean Section and birth. 12. 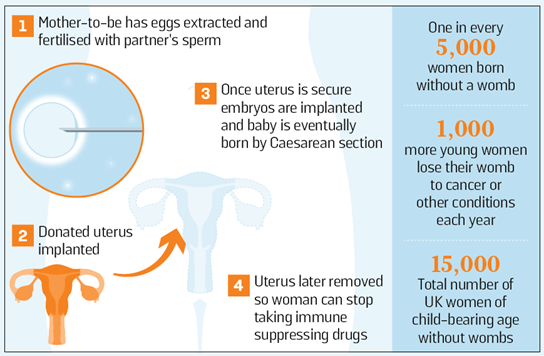 Six to 12 months later, hysterectomy (to avoid continuous use of immuno-suppressive drugs).